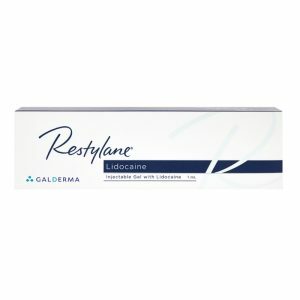 RESTYLANE KYSSE is injectable soft hyaluronic acid gel of non-animal origin with addition of 0.3% Lidocaine Hydrochloride which increases your comfort during the dermal filler procedure. Hyaluronic Acid concentration is 20 mg/mL. As well as creating a pretty pout, it also works to smooth fine lines and wrinkles around the mouth caused by smoking/ageing/expression for a smoother, fresher overall appearance. If you need a filler to smooth out fine lines or wrinkles, use other products from RESTYLANE, JUVEDERM family, or other well-known brands. The best brand fillers at a reasonable price are available for sale on Anna’s Cosmetics. Read my reviews to choose which are best for you and your skin. 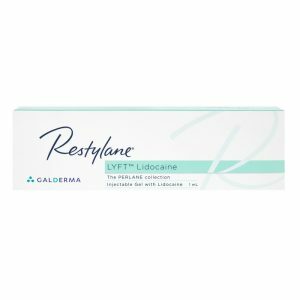 RESTYLANE KYSSE: HOW LONG DOES IT LAST? You will immediately see the results of before and after using RESTYLANE KYSSE. The effect will be long-lasting, yet not permanent. Hyaluronic acid is completely broken down in the skin, leaving no trace of the lip filler. It has been clinically proven that RESTYLANE KYSSE results last for 6 to 9 months, and some effects are observed even after 12 months. The duration of action varies depending on the amount of gel injected, skin condition, injection technique, the treated surface and the patient’s lifestyle (sun exposure, smoking, etc.). RESTYLANE KYSSE is a softer filler. It has the right viscosity for lips and as the formula is super smooth, it should give a nice, softly plump, finish. Since RESTYLANE KYSSE has a soft gel consistency, it allows good distribution and excellent skin tolerance while providing lip volumizing effect. Its active composition contains 0.3% Lidocaine for maximum comfort during treatment. Dermal filler RESTYLANE KYSSE is indicated for injections in the mucous membrane and intra-dermal injections. RESTYLANE KYSSE is totally compatible with the body, fully biodegradable and hypo-allergenic once used. According to a survey, 86% of RESTYLANE KYSSE patients wanted to be treated with the same product again. Volume & Packaging: One pre-filled syringe of 1 ml. Accessory: The box contains two sterile 30G1/2” needle, a package insert and a set of labels in order to ensure traceability. 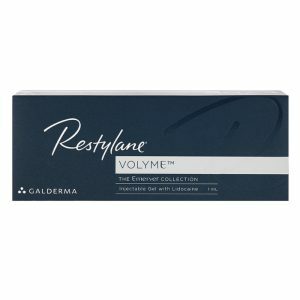 Dermal filler RESTYLANE KYSSE is manufactured in Europe by Galderma. Buy Restylane dermal fillers to create soft, natural looking lips, available for sale on Anna’s Cosmetics.